Our product range includes a wide range of titanium heater and silica glass heater. As a quality-oriented organization, we are focused to provide our clients excellent quality Titanium Heaters. This titanium heater comes with titanium heating element, adjustable temperature setting. Our titanium heater is developed by using quality approved material and modern techniques at our end in fulfillment with the market standards. We are providing this titanium heater to our customers on diverse specifications to choose from. Being a reputed company, we are offering a broad array of Silica Glass Tube Heaters. 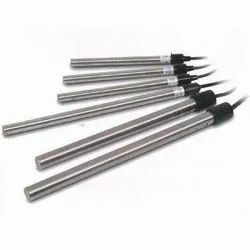 Used in plating plant, we develop this glass tube heater by making use of high quality material in observance with the set standards of market. The glass tube heater is provided on several assorted specifications as per the requirements of patrons. Our clientele can avail this glass tube heater from us in a confined time frame at competitive prices. Looking for CHEMICAL IMMERSION HEATER ?